Just like fun, gameplay is a word that always felt awkward to me. This is critical for game designers as it is mostly their responsibility, yet there doesn’t seem to be any established definition of it. Dictionaries generally point in different directions and alternatively define gameplay as game content, game plot or as the actions of a player. 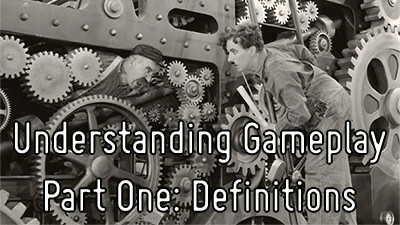 Specialized literature often goes one step further by noting the emergence of gameplay and describe it as the interplay between the player and the game systems. 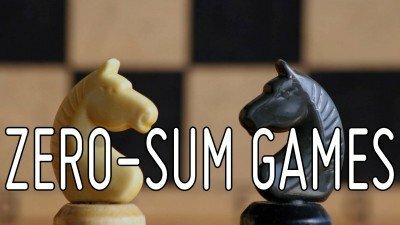 They generally carry on by describing constitutive elements like challenge, fun and player choice to great benefit, but they always left me disarmed when asked the dreaded question: “Is the gameplay of our game fun?”. I believe that more scrutinization of gameplay as the essential part of a game would be beneficial and could help identify principles and rules that govern it and inform the process of game design. To my utter dismay, in addition to being a game designer, I was also born French, and the Latin roots of my mother tongue created even more confusion as game and play translate in the same word: jeu, or juego in Spanish. Thankfully, etymology is of refreshing help as even if game and play both convey the concepts of amusement, pleasure and joy, they also show some interesting distinctions. Game tends to describe the game itself, its rules and physical form. It is also close to gammon, a term used in backgammon and that can also substitute for that game’s name. On the other hand, play is more often linked to dance, spring, act freely and typically describes the activity of participating in a game. This starts to make more sense for a designer as we understand a game as the ensemble of its rules and its physical boundaries, whether it be a game board or the lines that delimit a football field, while play is actually the actions of players within the limits of the game. So gameplay would be the alliance of structure and of variation within its boundaries? This sounds right, as the difference between a game and a toy is precisely the presence of rules that structure play in the former while the latter imposes no restriction. But it is also interesting to look at another use of the word play: The door plays on its hinges. Mechanisms require a little clearance between the teeth of cogs to function. Some freedom is needed so they can play within the structure and operate. But isn’t this the case for all structures? A political system establishes boundaries but needs to leave some freedom to its citizens or they would feel too restricted and oppose such control. The universe itself is always in flux between order and chaos and the exploration of the extremes is rather telling. One of the higher states of order of the matter is the crystalline network. The atoms in these gems are highly organized and tightly aligned while variability and freedom is almost nonexistent. On the other end of the spectrum, when structure is minimal and variation is extreme, we find particles floating in suspension, like a soup, where the Brownian movement of particles doesn’t follow any definable pattern. The commonality of these two extremes is that none of them can actually harbor life. A living cell enforces structure through its membrane and internal organization but it also allows for molecular movement or it wouldn’t function properly. The cell is in state of structured flux, just like walking is a state of sustained unbalance. Similarly, a game restricts the possible behaviours through the structure of its rules, but still allows for enough variability for the players to select their own moves. A game that is too directive wouldn’t allow for any uncertainty and wouldn’t incidentally be any fun. 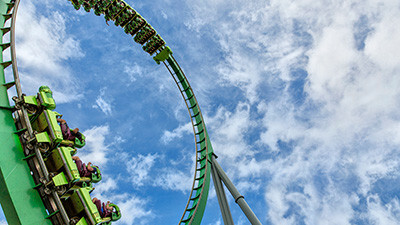 Also read: Fun and uncertainty – Uncertainty is the key ingredient of fun. The universe around us is organized and the most obvious examples of it are the repetitive patterns of nature. From planets revolving and orbiting, to the tides and seasons on Earth, cycles are everywhere, and it only seems natural that living cells also had to follow the same type of timely organization with one of their most essential activities: cellular division. In his book, A Theory of Fun for Game Design (2004), Raph Koster described at length how the human brain is attuned to patterns and how this impacts the way we enjoy games. The universe is structured by patterns, cycles and rules, but they are so numerous and deeply intertwined that it is impossible for us to comprehend it as a whole. We can only understand it through deconstruction. By using abstraction, we simplify phenomena and analyze them in isolation. By removing parts of the whole to better decipher them, we turn them into symbols, we “grok” them as Koster (after Heinlein) says. Symbols are our tools to see through the maddening complexity of reality, the noise, understand its inner working, and interact with it. The way we create abstractions of reality is by using organized symbolic systems like language and mathematics. If we look at them from the perspective of structure and variation we can try to draw comparisons with gameplay. Firstly, symbolic systems operate under the constraints of high level principles that direct their use. Language for instance is structured by rules such as syntax and semantics. If those rules aren’t respected, and the symbolism isn’t shared, then its value becomes greatly diminished as the message will be harder to decode on the receiving end. Similarly, any mathematical reasoning must abide by the laws of logic or be totally futile. As an intellectual construction, we can define our own governing principles to structure the functioning of our symbolic system and shape the domain of abstraction we want to work in. For instance, Euclid stated for his geometry a series of axioms that he based his study on. He could then prove a series of theorems that derived from them. But geometries based on different axioms are possible. Change the initial postulates, change the shape of the abstraction, and you will be able to develop different theorems that function within this new system. This is akin to the difference between different programming languages, they all define a rigid framework, each with its specific function. Music functions in the same way as each musical genre defines its own harmonic scale. At the highest level, symbolic systems rely on the definition of structuring principles. They shape and organize the resulting space of abstraction, as the modification of those rules transforms the symbolic tool as well as its field of application. Furthermore, the actual content that we create when we use these symbolic systems is akin to defining more explicit norms. A program defines how a computer is to behave, a sentence is generally codified to enforce a specific meaning to be transmitted, a melody is one fixed series of notes among all the options allowed by a given harmonic scale. These gems of meaning are ordered elements in the vast space of possibility shaped by the high level principles. Symbolic systems are organized as a layered alternation of normative principles that define a space of possible options, variation within the structure. Lastly, it is also notable that symbolic systems allow for norm-bending. Poetry, for example, can twist the conventions of language and play with its rigid limits. Similarly, musicians can be expressive in how they work with harmony as they can follow it exactly by using a major scale, or stray slightly away from the established norm by using a minor scale. Harmonic modulation, or the slight modification of the tonal key, induces a harmonic tension that finds resolution as the tune goes back to consonance. Again, structured play demonstrates balance between structure and variation, the establishment of norms and sometimes their challenge. Games appear to me in a very similar fashion. The rules become the norms that restrict player behaviour, but should also give him enough leeway for him to express choices and actually learn about the problem he is facing through interaction. These restrictions are not so much limitative but instead propose abstracted problems to offer a clear challenge and allow players to learn to provide adapted solutions. Gameplay is the result of that norm that structures the variations in player behaviour. This leads me to propose this definition. Gameplay: A symbolic representation of a problem that structures a space of possibilities to allow for the research and evaluation of solutions. But if gameplay shares the same functional basis as these other symbolic structures that define local norms while respecting their own intrinsic rules and principles, it might mean that gameplay also comes with its own set of meta-principles that would actually help us design games! This is what we’ll explore in the second part of this article. 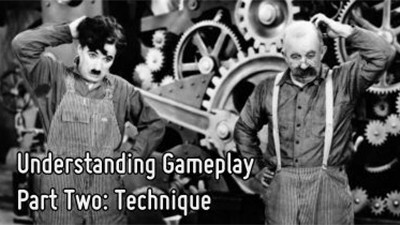 Also read: Understanding Gameplay – Part Two: Technique – Learn how to use this definition to create gameplay. A Theory of Fun – Raph Koster. The more I get back to it, the more I feel like I’m just paraphrasing this book. Oh well, I guess we’re in good company anyways. Fun and uncertainty – Another article from this blog. My definition of fun: The desired exploration of uncertainty. A technical approach to create gameplay as structured exploration of uncertainty. Regarding your definition, I suggest changing problem to challenge and space to environment/frame. Space denotes a 3D environment that neglects time, the 4th dimension, which is also crucial in games. I understand and actually agree, I ment space more in a mathematical sense, instead of a physical/3D one.